United States | What's in a Journey. Let’s start in Tulsa. That’s right, Tulsa! Not on the top of your list, is it? Well, I can tell you that I was pleasantly surprised. First of all, let’s talk about what brought me to Oklahoma in the first place. My dear friend and graduate school roommate who is British was on sabbatical and doing a tour of US cities he had not been to. Long before he actually purchased his tickets, I knew I had to come see him, considering that it had been at least 8 years since I’d seen him last and he was coming all this way. The least I could do was meet him in Middle America. I had hoped to meet him in Chicago, but due to my work schedule, I had to meet him in Tulsa. It was really fun telling people in OK why a Brit and a Portlander were visiting Tulsa. We got had some laughs there for sure. I’ll 100% admit that I did not think Tulsa was going to keep me captivated in any way, but I was absolutely wrong. Not only was it wonderful to catch up with an old friend, but there were some surprising gems. In addition, I can easily say that Oklahoman’s are the NICEST people I’ve ever met. Seriously, one woman apologized to me for not smiling back after I had smiled at her. 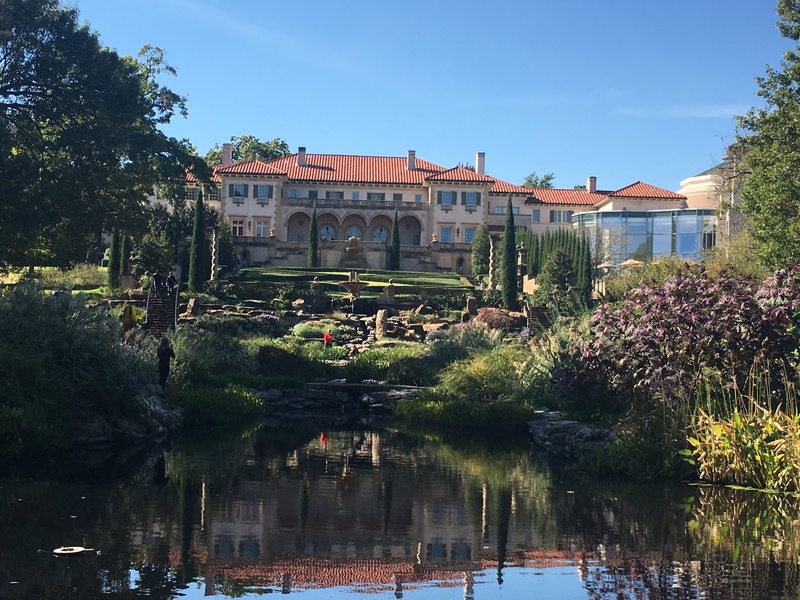 First and foremost, you absolutely must go to Philbrook, a mansion built in 1927, including all of the stunning elements you would expect of an expensive home built during that time including an expansive formal garden which is a museum unto itself. 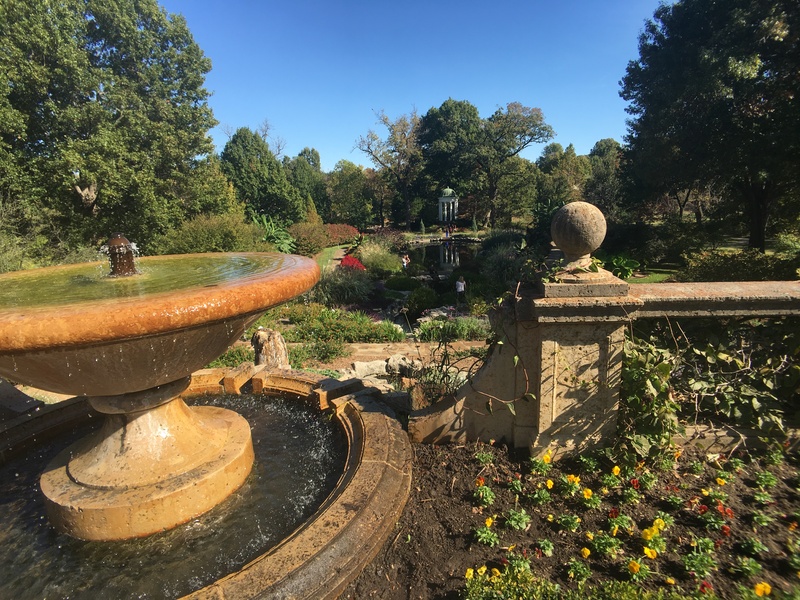 If I lived in Tulsa, I would buy an annual membership just so I could go sit in the gardens any time I wanted. It helped that the weather was spectacular, not too hot, not too cold. Perhaps a rarity here. View of the house from the gardens. 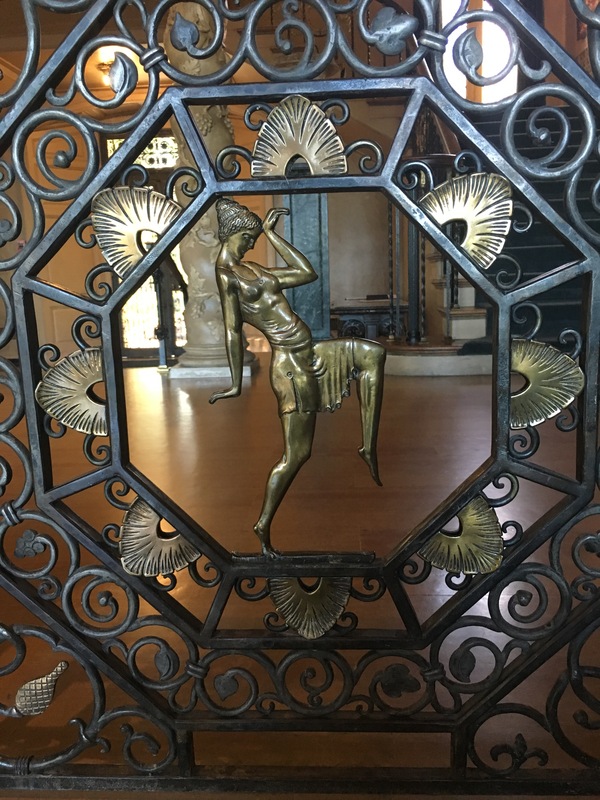 The mansion itself was my favorite part, although their collections and exhibits were excellent. You can definitely get a taste for my style here. Bet you didn’t know that Tulsa was at it’s height during the oil boom of the 1920’s and 1930’s? 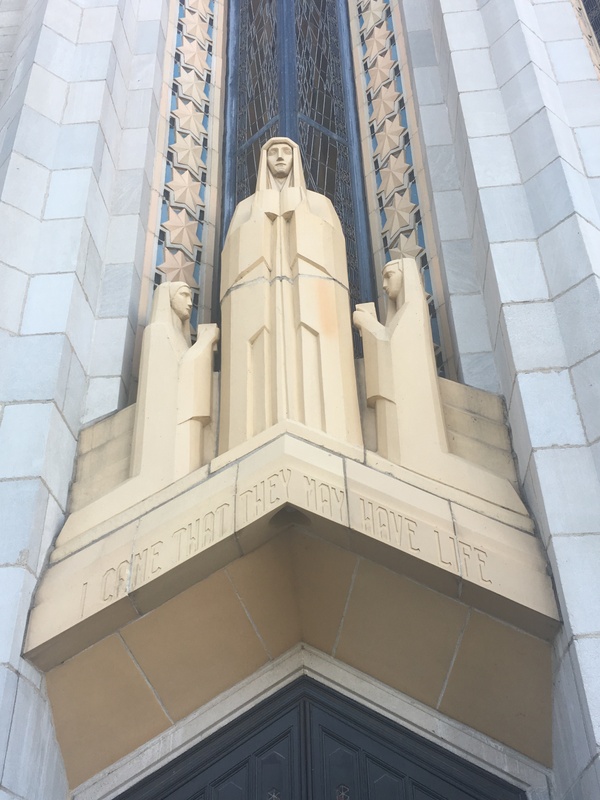 The massive quantity of money coming through the area made Tulsa a shining gem in the landscape, with architecture that will make any art deco fan swoon. 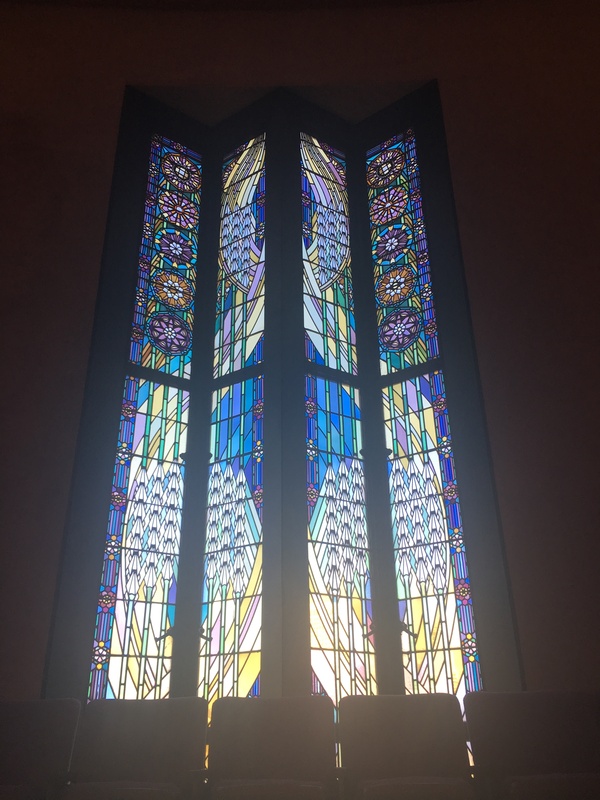 I definitely recommend walking around and seeing some of the art deco style buildings in downtown, but do not miss going to Boston Avenue United Methodist Church. If you’ve got some extra time or special interest, here are a couple more options! If you’re a fan of folk music and/or American history, you definitely need to go to the Guthrie Center. To be honest, I didn’t know much about him outside of a couple of songs prior to visiting the center. Not only did a learn about the breadth of his music, but I also learned a lot about American history during the dust bowl. 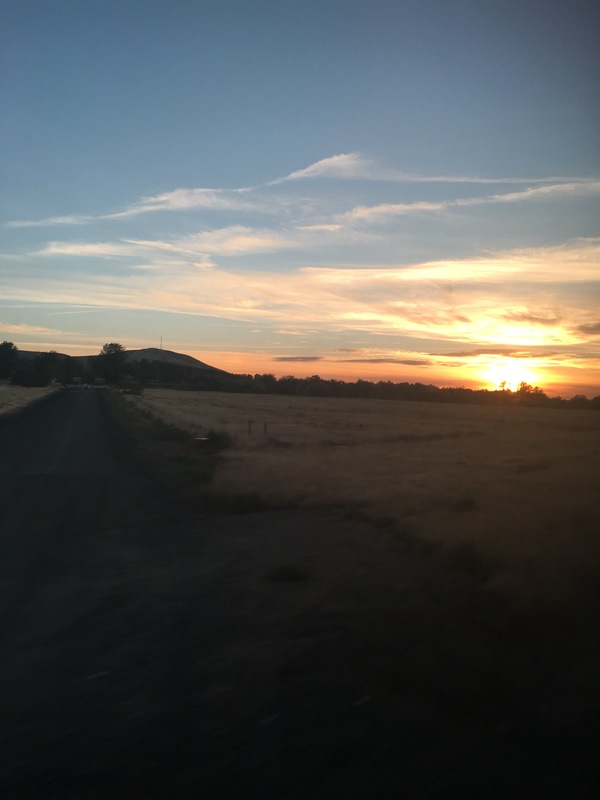 Ironically, we read about how our over-use of the earth and poor farming management actually caused the dust bowl…ironic because later that weekend we experienced an earth quake caused by fracking. 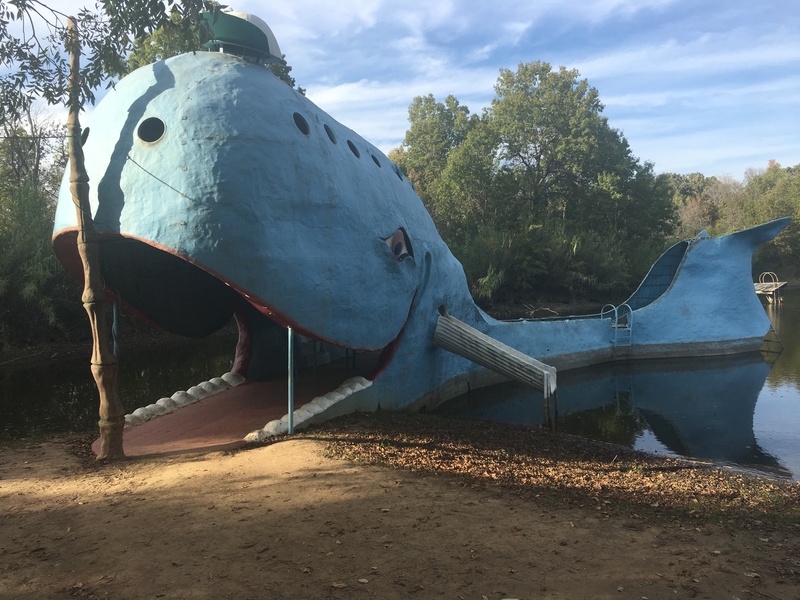 And last, but certainly not least, if you’re going to check out the famous Hwy 101, you need to stop to see the Blue Whale. 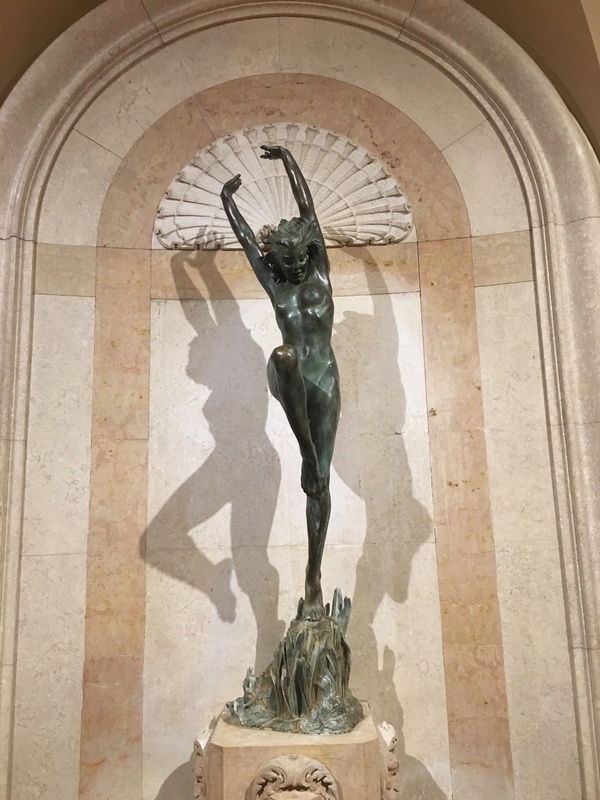 Overall, I don’t think you really need to spend more than 3-4 days max in Tulsa, but it has some delightful spots, fascinating history, and amazing architecture that I highly recommend! Despite the face that I have been to 14 countries and have seen spectacular views, I can still easily say that Glacier National Park is my favorite place in the world. It may have something to do with the fact that I grew up coming here every summer for many years, but I think it is also just the complete majesty of the place. 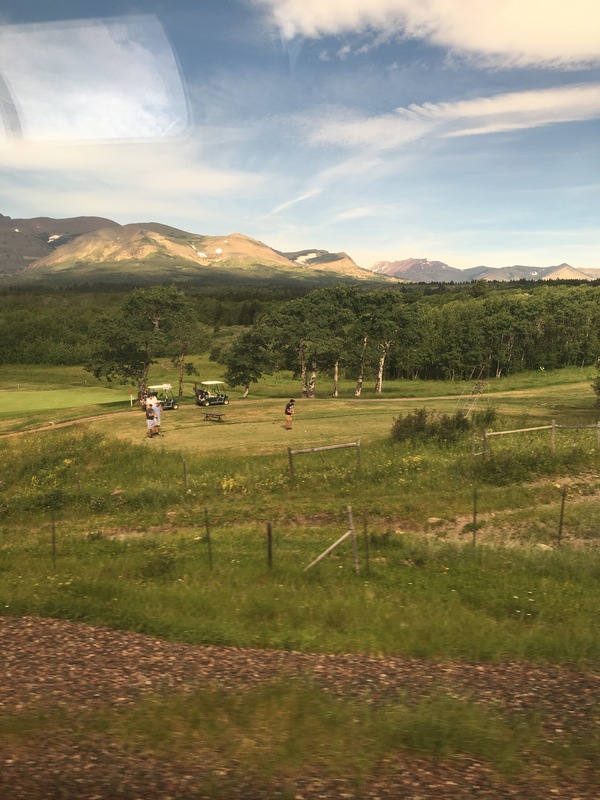 The most popular campground in the park is Apgar, also my favorite because of the tall lodge pole pines and close proximity to MacDonald Lake. The water is rarely ever warm, but that doesn’t stop some people. This is the second time I have rented a stand up paddle board and gone out on the lake. This time, I went out towards the middle of the lake and laid down on the board. The mountains usually overwhelm me with their size, but this time the sky was the winner, overshadowing even the tallest of the mountains, reminding me how small we all really are. That’s me, way out there! We had planned a long hike over the Highline and into the East side of the Park, but due to snow the trail was still closed. So we did the very popular hike up to the Hidden Lake Overlook. 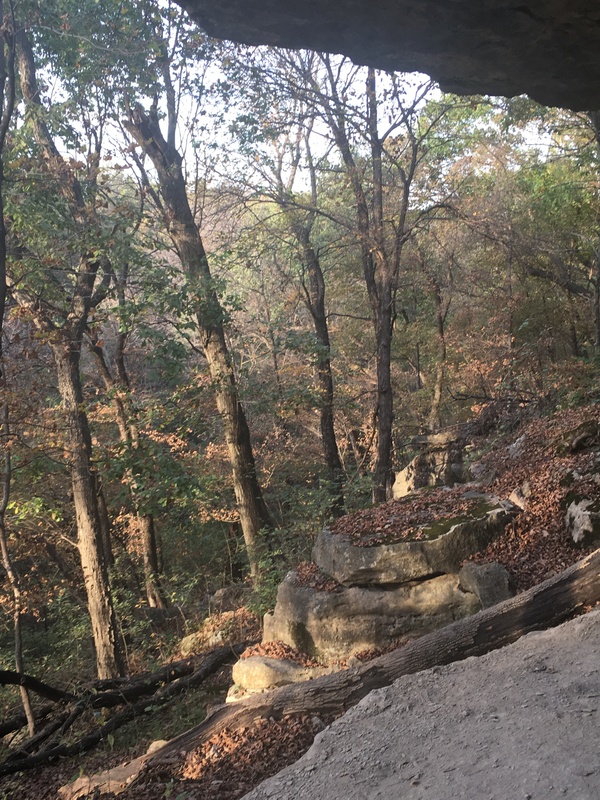 I’ve done this hike many times and it never ceases to be spectacular. This year was a particular challenge due to all of the snow though. And then, of course, there’s the wildlife of Glacier. Don’t feed them, guys. Just don’t do it. One of the things I love in particular about train travel is the chance to meet other travelers. On planes, the close proximity makes most people clam up in fear they will get a seat mate who is overbearing and over talkative. In cars, it is just you and your traveling kin. But in trains, with room to move around but also nowhere to go fast, people are much more open. 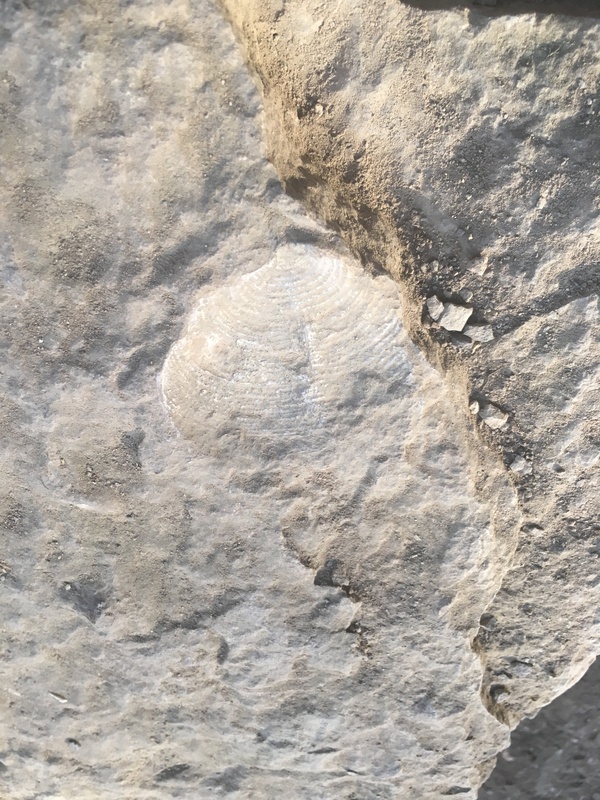 On this trip I met a young man about to hike the continental divide trail, effectively completing the triple crown of hikes as he has already done the pacific crest and Appalachian trails. My seat mate was another woman off to spend three days camping in East Glacier National Park. 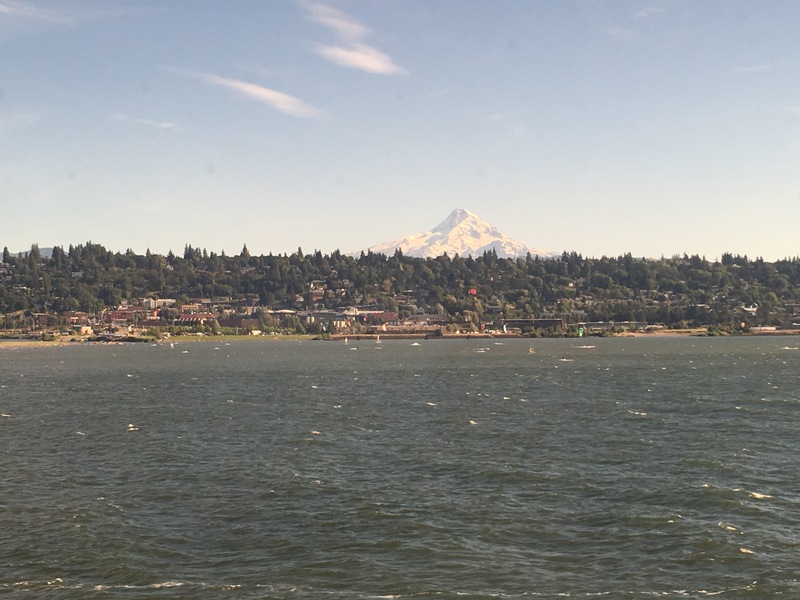 While sitting in the observation lounge I met a couple who were on the final leg of a journey around the us via Amtrak starting and returning in Pennsylvania. We talked education, religion, travel, and history. A perfect conversation from my point of view! The highlight of this particular trip though was listening to the volunteers from the Rails to Trails program. 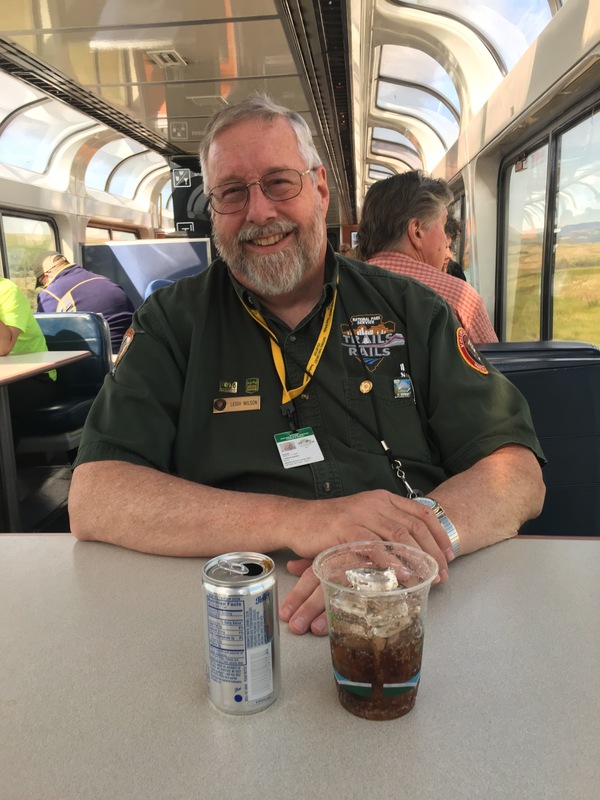 These highly trained volunteers speak about the views you see from the lounge car. I learned all kinds of history and geology about Glacier National Park and the Blackfeet Indians. Here is a picture of the Lead volunteer, Leigh on his “break” which ended up being a great conversation with me about our lives and the scenery around us! I have taken this particular train trip one other time, about five years ago or so, but it was in December and thus there was very little daylight. This time, however, the views were spectacular. 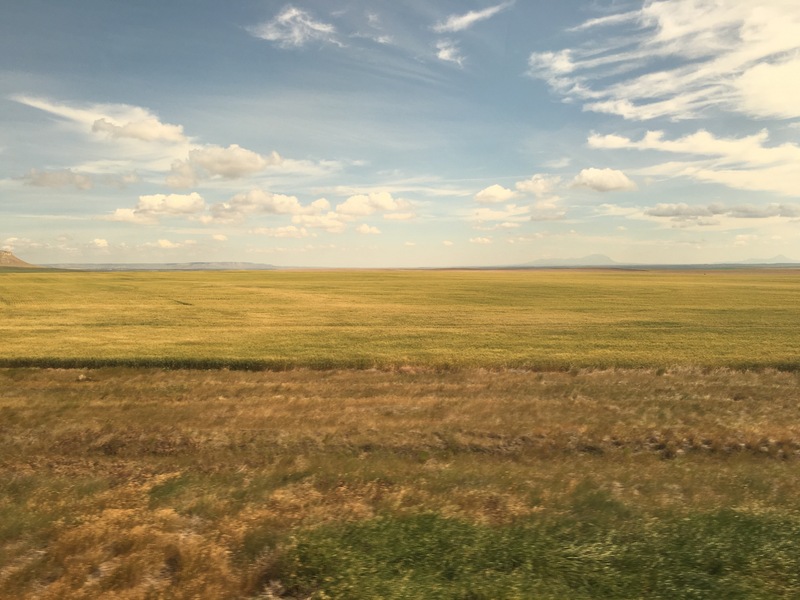 And my favorite, the Montana prairie, aka Home.